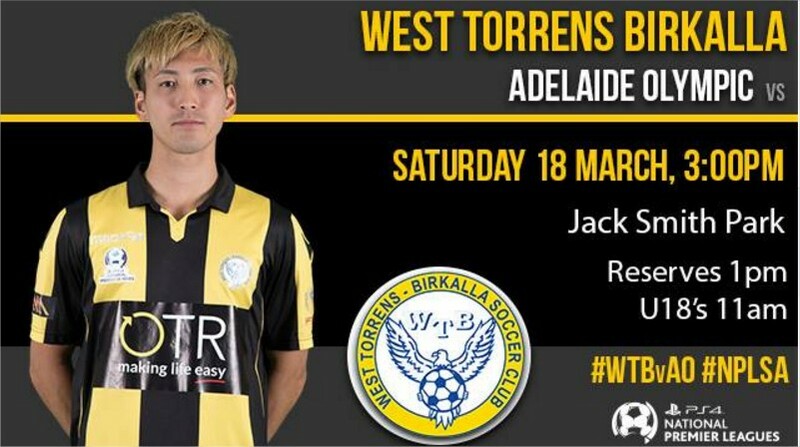 West Torrens Birkalla Seniors claimed their first win of the season on Friday night in Round 4 of the PlayStation 4 National Premier League SA against newly promoted side Cumberland United. The 3-1 win coming at a crucial time, with players and coaching staff acknowledging that getting on the board at Round 4 was crucial. Head Coach Steve De Giovanniello told that he was pleased with the outcome. Cumberland scored first thanks to a goal by Lewis May but were reduced to 10 men early in the first half after Matthew Hiern was shown 2 yellow cards and left the field. Birkalla responded with 3 goals, 2 from Fumiya Sukuki and 1 from Taro Kawamura, before the whistle blew at half time. “I think the send-off probably helped us but even before the send-off, once they scored it really kick-started us and we shouldn’t really need a goal to kick-start us but that is what happened,” said De Giovanniello. “I think they scored a goal and then we did a minute later and then we scored another and another. Some of the things we had worked on worked and there were some other things that we still need to improve on. “The second half was a bit disappointing but we did what we needed to do to win, we were 3-1 up and they only had 10 men and they sort of sat back and we went ok well then if you want to sit back then fine, we will just keep possession and wait, but I think we probably could have scored maybe a couple more goals and made it a bit more comfortable. With two impressive goals to his name from the match, De Giovanniello confirms Suzuki as a standout for the match along with fellow scorer Kawamura and Keeper Joe Gauci who is settling in to his role in the Senior side following veteran Julian Torresan being sidelined due to injury. 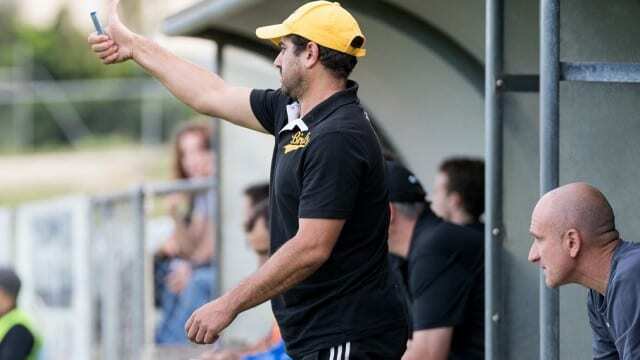 Looking ahead at the Round 5 match against Adelaide Olympic, it is a case of focussing internally rather than anticipating what the visitors will bring. “I don’t really know what to expect from Olympic, they are one of those teams that they can be really on or off. “I think that last year when we played here they were really on and we drew 3 all and made things really tough. “They were aggressive, they were intense, but there are games when they are not on, so I am not sure what to expect from them but I know what we need to bring. Support all three grades against Adelaide Olympic at Jack Smith Park this Saturday 18 March from 11am.